Hafa Adai! Welcome to the serene village of Chalan Pago Ordot! Ordot Chalan Pago is located in the eastern-central part of Guam. The village is small but has a strong community. The topography of the Ordot Chalan Pago area is filled with many low hills, small valleys, wetlands, and streams. Most residents have been built along these hills and nearby mountains. The area is rich with lush green vegetation such as bamboos, mangroves, palm trees, and local flowers. 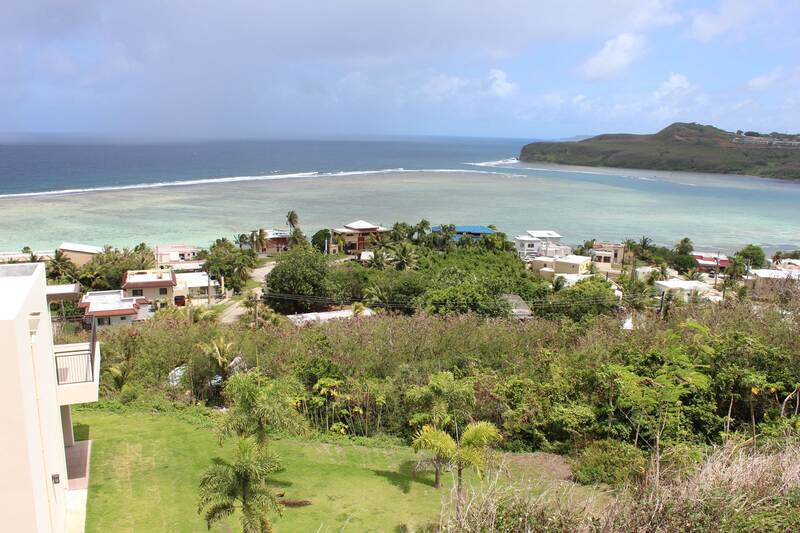 Ordot Chalan Pago is twenty minutes away from the Naval Base in Santa Rita. If you are traveling up North, like to Yigo, it would take you about twenty five minutes. For those with children, there are a few schools in the village, public and private for all your children’s needs. If you wish to send your child to DoDea or a school in another village other than Ordot Chalan Pago, there are bus stops located throughout the village for your child’s transportation. Ordot Chalan Pago is also home to the Leo Palace Resort. Besides being a world class golf resort, Leo Palace Resort is also home to a hotel, condo, townhome, restaurant, bowling alley, swimming pool, baseball stadium, and, soccer stadium. With so many amenities, it is truly a resort paradise. The village is a great place to call home. Ordot Chalan Pago is known for its peaceful and cozy atmosphere. It is a place for those who love simplicity and relaxation. The island breeze is constant in the village. and the people are friendly and welcoming to their neighbors. There are small stores and a supermarket for your convenience. Route 10 goes straight through the village, so driving is fairly easy to get around. To escape the island heat, we recommend a dip in the river. Manenggon River is a freshwater river that runs through multiple villages, such as Chalan Pago, Talofofo, and Yona. There is a dam that is constructed between the borders or Chalan Pago and Yona, creating calm waters suitable for swimming. Many locals and visitors travel to the dam to escape the island heat. Tall bamboo forests border the dam, shading swimmers from the sun. For your enjoyment there is a diving board and a rope swing that is sure to please. We hope you find the village as soothing as we do. Ordot Chalan Pago is surely a place to experience the island life. The laid back lifestyle, away from all the hustle and bustle is great after a long day of work.